Facebook Inc (NASDAQ:FB) released its earnings report on Wednesday, 28th January, 2015, and much to everyone’s surprise, it surpassed expectations as projected by Wall Street. Julia Boorstin covered it for CNBC and reported that while there was an increase in just about every aspect pertaining to this social networking site, it was mobile advertising which took the cake. 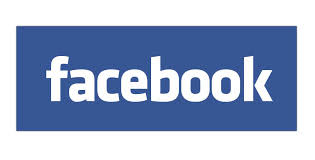 Having jumped from 53% in 2013 to 69% in 2014, it is proving to be a lucrative segment for Facebook. There has been an increase in the number of active users too although the segment comprising of teen users continues to witness a slow erosion. In light of this declaration, share value of Facebook Inc (NASDAQ:FB) showed fluctuation and eventually closed at $75.17 having lowered by 1.40%. The fact that Facebook CEO Mark Zuckerberg expressed his opinion about some of the company’s branches being too young for monetization is likely to have triggered a downward shift. With just four days prior to the Super Bowl kick-off in Arizona, Facebook Inc (NASDAQ:FB) has announced that it intends to use its social networking platform to sell video ads during the tournament. Keywords related to the game will act as triggers for these ads and while it implies an expansion of user base for Facebook, it also means venturing into a territory wherein Twitter Inc (TWTR) has always held sway. All of this proves that Facebook Inc (NASDAQ:FB) is faring better than its counterparts in this sector and hence emerges as a worthy investment option for 2015. 1) Is a tech stock, and therefore has no guarantee or even reasonable expectation of longevity – after all, it didn’t take but a moment for Myspace to crush Xanga and Live Journal, nor did it take much longer for facebook to crush Myspace. Very soon, Facebook’s murderer will arise. Gambling now is insanity. 2) Has a 1.38% earnings yield. One point three eight percent. That doesn’t even match inflation. “Investing” in a game of craps would be more sane than investing in a guaranteed loss over time. The only way to gain from yields like that is to find an idiot more foolish than you to buy even lower yields at higher prices. 3) Represents a business that lacks any and all fundamentals required to be a sound investment. Stocks are ownership of businesses, they aren’t magical fairies or poker cards. What amazing faucet of Facebook suggests amazing multi-year growth to justify these absurd valuations? 72x P/E? Absolute insanity – what audience that might eventually use facebook doesn’t already use facebook? Your own article says that the “new blood” is stymying. I could go on, but why bother? To suggest anyone come anywhere near this stock is so shockingly offensive, so blatantly irrational, so disgustingly misleading that I sincerely hope that those poor saps who take this advice manage to escape economic ruination. How do you write this tripe without feeling suicidaly guilty? Chevron and Exxon mobile are selling at bargain bin valuations – these are the bluest of the blue chip stocks, with dividend yields almost 3 times higher and decades of consistent dividend growth. Why would anyone even glance at FB when such superior alternatives are readily available? Unless tax efficiency is a concern, FB is like drinking a glass full of HIV+ needles by comparison. This is investment, not gambling.